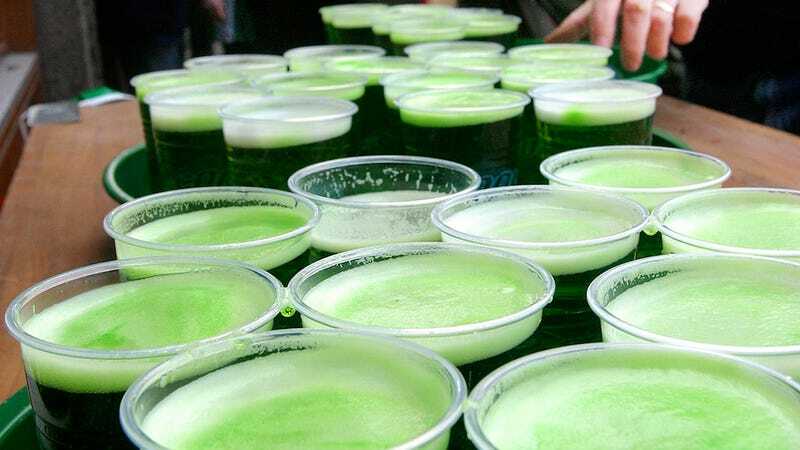 Guinness is pulling out of its sponsorship of the New York City St. Patrick's Day Parade over a rule that prohibits LGBT organizations from participation. "Guinness has a strong history of supporting diversity and being an advocate for equality for all. We were hopeful that the policy of exclusion would be reversed for this year's parade. As this has not come to pass, Guinness has withdrawn its participation. We will continue to work with community leaders to ensure that future parades have an inclusionary policy." This news comes on the heels of several brewers dropping out of St. Patrick's Day parades for similar reasons. Boston Beer Company (the company behind Samuel Adams Lager) pulled their sponsorship of the St. Patrick's Day Parade in Boston. Heineken followed suit and dropped out of sponsoring Monday's NYC parade as well. New York's parade, a tradition that predates the city itself, draws more than 1 million spectators and about 200,000 participants every March 17. It has long been a mandatory stop on the city's political trail, and will include marching bands, traditional Irish dancers and thousands of uniformed city workers.